Lime is an often overlooked flavor with chicken. Lemon seems to get all the glory. 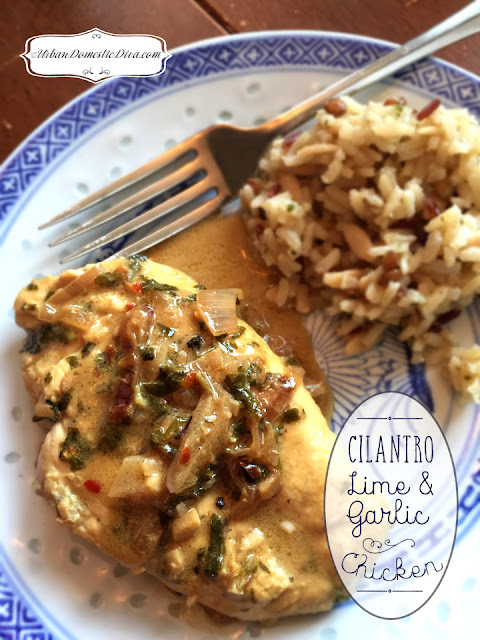 I had extra limes in the crisper drawer, so I merged a few bloggers' lime recipes together to come up with this fast and savory chicken. I seared the chicken then finished it off in the oven, so make sure you are using an oven proof skillet with a sturdy handle. The longer you can marinate the chicken the better. I let it soak all afternoon. And don't skip the pounding of the chicken It tenderizes the breast, and the even surface allows for even searing and baking. My 14 year old ate the leftovers! So 5 stars on this bad boy. I served it with a rice pilaf, that soaked up the pan juices on the plate. Mmmm. In a no reactive bowl whisk the marinade well and add the breasts. Marinate in the refrigerator for 2-5 hours. Reserve the marinade to make the sauce. In a large oven-proof pan over medium high heat, warm the olive oil. Ad the chicken breasts and brown on both sides, about 3 minutes on both sides. Take breasts out and place on a plate for the time being. In the pan, add the shallots and soften up, scraping up the brown chicken bits from the bottom of the pan. Once the shallots are soft, add the broth and 2 Tbsp. of the marinade juice. Bring to a simmer and mix well and reduce the sauce to about 1/3rd of a cup. Add the butter and cream to the pan and stir. Add the chicken back into the pan and place in the oven. Bake for 5-10 minutes. Serve the chicken with the pan sauce spooned over it.